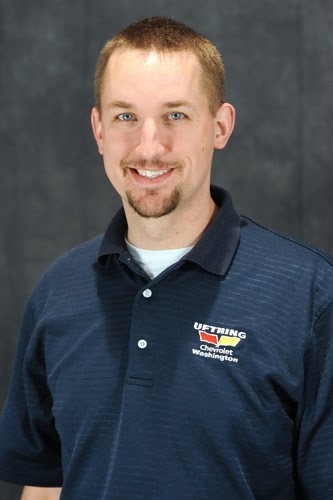 Our entire Uftring Auto Group organization has been built on our incredible team of staff members who work hard every single day to provide each of our customers with the most incredible customer service in Central Illinois. At Uftring Chevrolet in Washington, IL, the heart of Chevy country, we take pride in our employees who have helped us build such a solid, trustworthy foundation after all these years in the business. Over 30 years, that is! We are service experts at Uftring Chevrolet, and what better way to get advice than from an expert? Nate’s advice to his customers is simple. Here’s three great service tips from him that you should always keep in mind. 1. Stay attuned to your vehicle. You drive it everyday and know if something sounds funny, or runs differently. All the little details help get the car repaired the first time! 2. Stay up on the little maintenances for less trouble in the long run. Fluid changes can prevent costly repairs in the future. 3. If you’re trying to find the right service department for you, look for a service department that has fun at work. If the team is enjoying themselves and their job, they’ll take better care of you as a customer. In Washington, we have a great time every day, and rarely will you catch us without a smile on our face as we go through the day! Want to learn more from Nate or our service team? Give us a call at 309-444-3151 or stop in for a coffee and we’ll help answer any questions or help you set up an appointment.